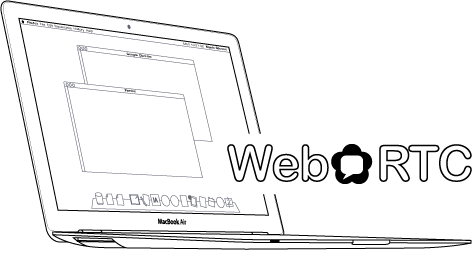 A free and open project launched in 2011, WebRTC is an HTML5 API that enables web browsers that support Real-Time Communication (RTC) to participate in video conferencing without the need for plug-ins. Currently supported by Mozilla, Google and Opera, WebRTC is available in the stable versions of Chrome, Opera and Firefox web browsers. Interestingly, the two other major browsers, Microsoft Internet Explorer and Apple Safari have yet to be a part of the WebRTC effort. This may be due to their existing video applications, respectively Skype and FaceTime. While WebRTC is not a replacement for enterprise-level video systems, WebRTC-based communication has its place in the market. Communicating through a web page is a very simple proposition that requires little support from an IT department. Small and midsize businesses can greatly benefit from WebRTC-enabled browsers to conduct business internally, as well as with partners and customers. Large enterprises have the means and in-house expertise to deploy commercial conferencing systems. Smaller organizations without those resources still need the ability to be in touch with employees outside of the office. Applications such as Skype™ have served this purpose for many small companies, but with WebRTC there is no requirement for all parties to have a Microsoft controlled protocol running in order to participate in a call. For much of its existence, WebRTC has been operating under the radar however things are rapidly changing. WebRTC interoperability has been demonstrated between Firefox and Chrome for some time now and the protocol is being extended to include Andriod and iOS implementations. With more and more businesses discovering the benefits of WebRTC-enabled audio calls and video chats, there is no limit to how a company of any size can use the power of a browser to improve corporate-wide communications and customer relationships. Want to learn how WebRTC could fit into your business communications? Copyright © 2015, Advantia VoIP Systems — All Rights Reserved.